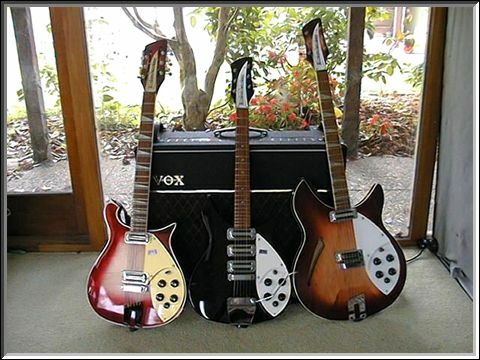 " - I have been bitten by the Rickenbacker bug following a recent purchase of a 360v64 a few weeks ago. It impressed me so much i went on a shopping spree sourcing a 660/12 from the USA and 325v63 from japan. It sure is hard to find the model you want and i'm thankful that the internet has made the whole world one large music shop.